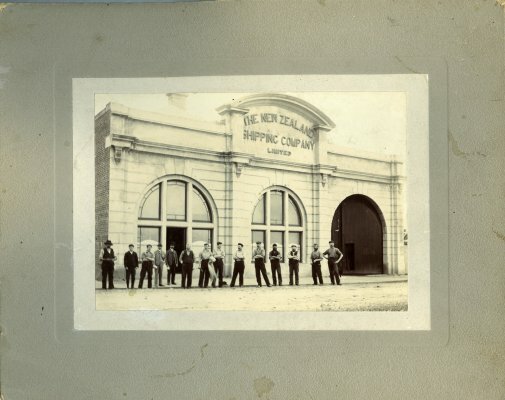 Description Black & white photograph, mounted on light grey card. 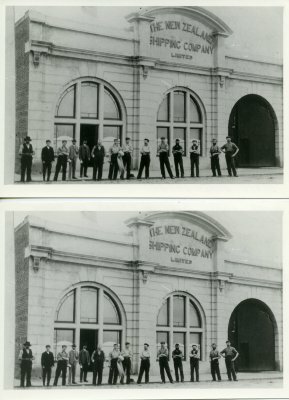 Men standing outside a building, "The New Zealand Shipping Company Ltd" in Bluff, in early 1900s. W.J. Shea is standing 5th from left.